Someone must have listened to me and the power is quite frightening. When I started the blog, before the long lull. 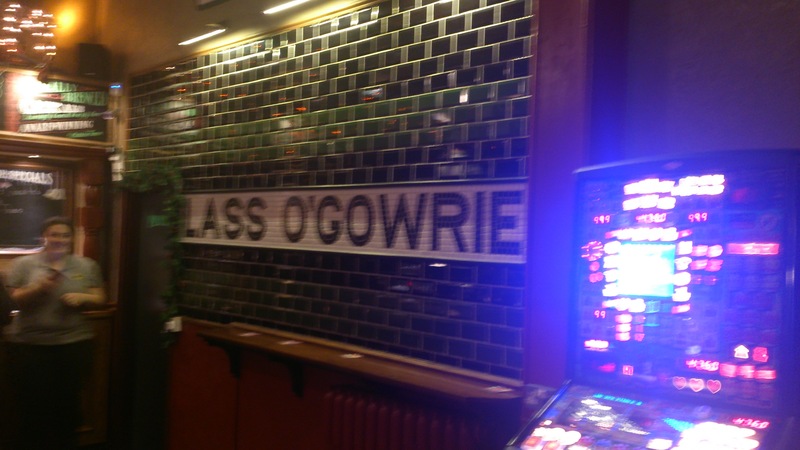 I wrote a whole post on the Lass O’Gowrie, in it I basically bemoaned it being a really good pub with serious flaws in the way it was set out. If you didn’t then inside was cluttered, full of old crap and generally hard to be comfortable in. They refurbished it earlier this year but this is the first chance I’ve had to go in, we started in there from work on what it was to become a messy night. Slightly blurred due to 3 pints and no food. Things went downhill quickly from here. They’ve obviously spent serious money on the place and it just feels brighter less grimy and cluttered. The beer selection was pretty much the same which is good and the staff were friendly. They’ve added benches at it’s narrowest point and that makes it easier to get past. All these smaller things add up to it being a much more pleasant place to grab a pint. 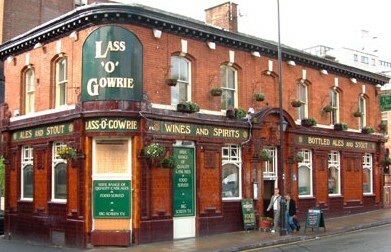 It hasn’t lost any of it’s charm though and it hasn’t been turned into a soulless pub. They left the nice bar and snug. The place is just pleasant. I had a red beer which was good and well kept but I’ve forgotten what it was called now. (I was quite… pissed.) I would recommend it again, also you can go to Joshua Brooks next door which is excellent. More on that soon.